It was a lengthy money bubble here in the Super Survivor but it has finally burst. Mike Lydon was eliminated in 14th place and will earn $960. The final 13 survivors will all be taking home $5,000 in cold hard cash. Sean Barringer was among the players to make the money and notches an impressive fifth tournament cash this series in all five events he’s played. Below is a full list of the final thirteen Event 11 survivors. Hand for hand play is well underway and the pace of play has come to a stall. Just 15 players remaining and the final 14 will make the money. 14th place will earn $960 and the surviving 13 will all be taking home $5,000. The hands are few and far between as the next person eliminated will be the Event 11 bubble boy. 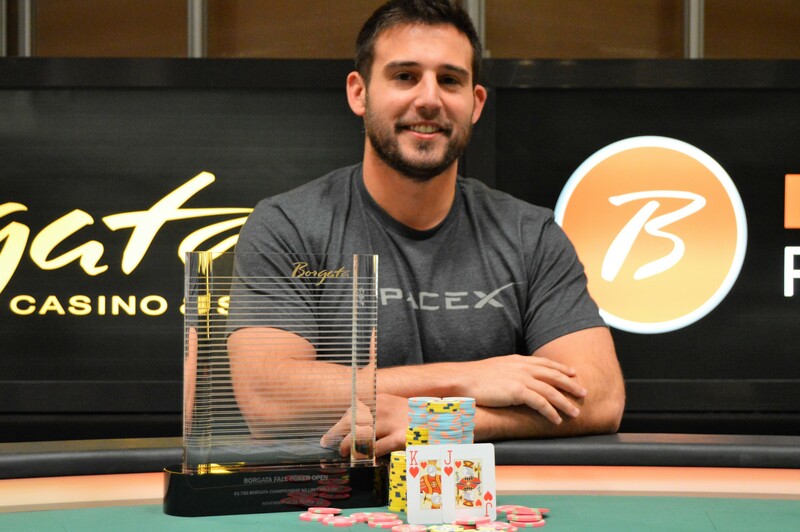 Sean Barringer started this Borgata Fall Poker Open off by cashing in Event 1 finishing in 105th for $1,297. He followed it up with another cash in Event 2 narrowly missing the final table with a 13th place finish for $1,391. He was just getting started as he added another cash in the $300 NLH Deepstack Event finishing 17th for another $1,042. Barringer then entered the Almighty Stack NLH event and once again made the money notching his fourth cash of the series. We are down to 16 players in the Survivor and Barringer is among them looking to add his fifth cash this series in as many events. The second Super Survivor of the Fall Poker Open is underway! It will have multiple winners, so no trophy is awarded. Approximately 1 out of every 10 players will win $5,000. Players begin with 20,000 chips and Level 1-10 are 30 minutes long. Levels 11+ are 40 minutes long. Late registration and unlimited re-entries are available until the start of Level 10 (about 9:15pm). They’ll play until only 10% of the field remains and those will be our Super Survivors!